Portrait of Yayoi Kusama. © Yayoi Kusama, courtesy Yayoi Kusama Inc. The AGO announced that it has secured half the purchase price for an Infinity Mirror Room. The #InfinityAGO campaign invites Torontonians to donate the rest to ensure that current and future art lovers can experience Kusama's extraordinary and innovative exploration of time and space. The acquisition would belong to the AGO and in turn, to the people of Toronto. The #InfinityAGO campaign launches online today at InfinityAGO.ca. 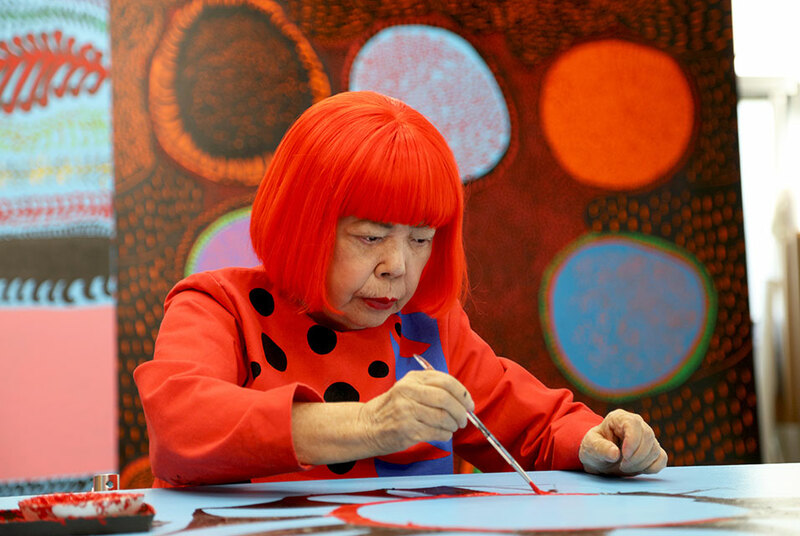 "Yayoi Kusama is one of the most important artists alive today. The opportunity to have an Infinity Mirror Room as part of the AGO's collection is deeply exciting," says Stephan Jost, the AGO's Michael and Sonja Koerner Director, and CEO. "We know that the people of Toronto have a special bond with Kusama and her art. It is time that a major Kusama Infinity Mirror Room be here in our city and province." The Infinity Mirror Room the AGO is hoping to acquire has never before been exhibited in Canada. It would be the first Infinity Mirror Room acquired by a Canadian public art museum. As funds are raised, the AGO will unveil pieces of a photo of the Infinity Mirror Room. The Infinity Mirror Room's name and image will be revealed when the #InfinityAGO campaign is complete. The AGO hopes to reach its crowdfunding goal of $1.3 million CAD within 30 days so that the work can be brought to Toronto as soon as possible. The AGO hopes to engage with thousands of people through the #InfinityAGO campaign. "A central theme in Kusama's work is the idea of connectivity. So it's fitting that #InfinityAGO will involve thousands of people working together to bring great art to Toronto. Together, infinity is achievable," Jost says. Support from individuals is critical to the AGO's mission to bring people and art together, and to highlight the best art from across Canada and around the world. A registered charity, the AGO relies on the generosity of individual donors, corporate sponsors, members and visitors, to supplement the annual operating support from government sources. Most of the AGO's artwork is acquired through generous donors who support the AGO, which is why the AGO is reaching out to the public in this unprecedented way.